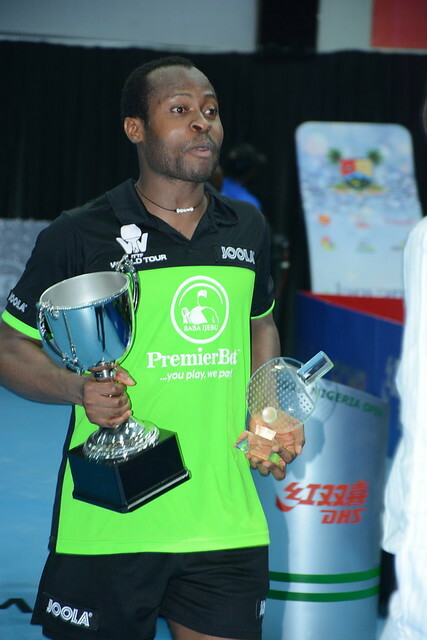 Much anticipated; the 2018 ITTF Challenge Seamaster Nigeria Open begins on Wednesday 8th August in the Molade Okoya-Thomas Hall of Teslim Balogun Stadium. Players representing 26 national associations, including hosts Nigeria, will battle for share of US$ 46,000 prize fund. At the press briefing to be held prior to the commencement of proceedings, Kweku Tandoh, the Tournament Director, described this year’s tournament as the biggest so far, adding that with the quality of organization, players across the globe are now willing to be part of the event. Likewise, Mounir Bessah, the Competition Manager, was positive. He recognised the fact that colour had been added and hoped that more players would be willing to be part of it in future. Positive words from Mounir Bessah, it was the same from Ishaku Tikon, the President of Nigeria Table Tennis Federation. Furthermore, there is a special incentive for Nigerian players; a fact made clear at the Press Conference by Babatunde Bank-Anthony, the Director General of the Lagos State Sport Commission. No player has ever won either the Men’s Singles or Women’s Singles event since the event was staged as an official open international tournament in 2014. Olajide Omotayo and Esther Oribamise believe the host will not disappoint this year. In the Men’s Singles event Olajide Omotayo is the no.20 seed, in the Men’s Doubles the no.2 seed in partnership with colleague, Segun Toriola; Esther Oribamise is not seeded; in the Women’s Doubles, she partners Ajoke Ojomu.